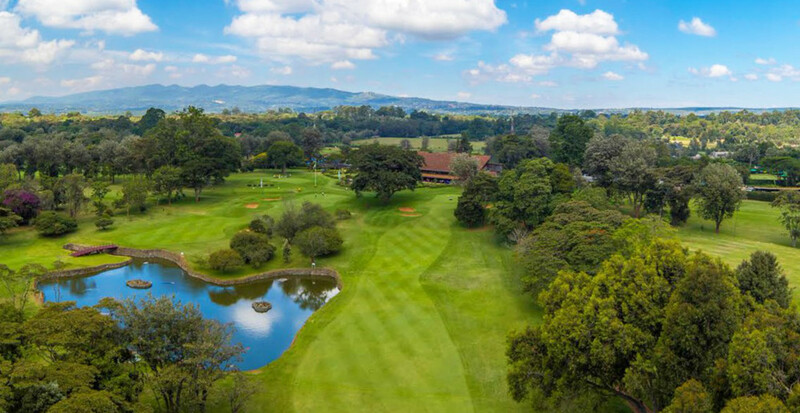 Whether you’re visiting Nairobi for work or leisure, a game of golf at the nearby Karen Country Club is not to be missed for golf enthusiasts. Guests at Hemingways Nairobi enjoy preferential rates at this golf club. This golf club was opened in the 1930’s, a large part of the 18-hole course was built on the former coffee estate of the Danish pioneer Karen Blixen. Indeed the shade trees from her coffee plantation still dominate parts of the course, eighty years after they were planted. The course is superbly maintained with greens built to PGA standards and has played host to the Kenya Open in recent years. Karen’s golf course is as pretty as a picture, its flourishing wildlife (both flora and fauna) encouraged by an active policy of nature and wetlands conservation and promotion. Everywhere there is colour and beauty. There is also considerable variety in the nature of the golfing challenges. The course retains the layout it has had for many years, and still plays to more or less the same length it did over 30 years ago.